Have you ever hit a trail that’s just one notch above your skill level? Well, depending on what bike you’re riding, it might well be worth thinking about an All Mountain bike. I’d never advocate spending money on kit rather than practicing your skills, but you do need the right tools for the job. And as soon as the trail gets more rugged than flowing, an All Mountain bike comes into it’s own. I’ve written plenty about mountain bike types elsewhere in the What Mountain Bike Guide, but it’s probably worth a little recap here. Whether you’re planning an all day adventure in the backwoods or a quick trip to the local dirt track, All Mountain bikes (as you might guess from the name!) claim to do it all. They give you a little bit of everything from the speed and strength needed for downhill racing to a frame light enough for cross country routes. Saying that, they’re never going to be as good on the downhill as a full DH rig, or as fast on the cross country as an XC whippet. But, if you can’t afford a specific bike for every purpose, All Mountain is a pretty good bet. Designed to tackle even the most limb-riddled and muddied trails, the Boardman Mountain Bike Pro Full Suspension 650 B offers excellent value for the price. Given that an all-mountain bike needs to be able to go uphill and downhill without losing speed while overcoming any obstacles, the Boardman MTB Pro has an excellent RockShox fork that helps cushion the jarring impact of tree limbs without sacrificing any handling. Because being able to stop in a hurry is imperative while mountain biking, the Boardman has Avid Elixir 7 Trail 4 hydraulic disc brakes. You can find the Boardman Range at Halfords here. The Giant Reign 2 offers many of the same features found in its higher priced sibling, the Reign 0 without breaking the bank. Because the bike features a more cushioned and supportive ride and a higher riding position, the Reign 2 is best for long rides. Sitting up higher will give you more control of the bike; however, you’ll be close enough to the ground that you won’t lose speed or acceleration. Made from a lightweight alloy frame, the Giant Reign 2 has a Maestro suspension that delivers excellent traction and astonishing control. 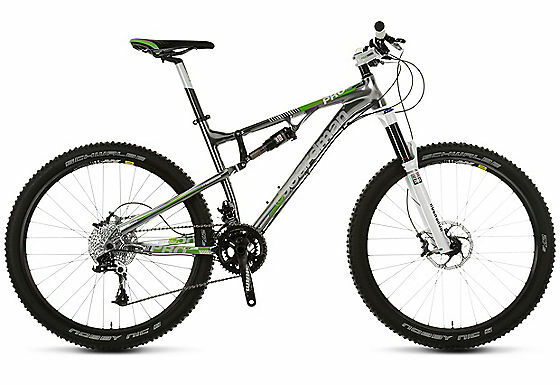 All new for 2014, the Whyte G-150 rides on the hybrid 650B wheelbase that strikes a balance between the stability of the large wheeled 29er and the small, yet more precise 26” mountain bike. The G-150 has 150mm of clearance in the fork that will keep you slightly higher while still easily going over the top of any obstacles. While you can opt to purchase more expensive bikes in the G-150 series, the base model is more than adequate to tackle just about any trail. Built on a 650B wheelbase so that riders can tackle any terrain from downhill racing to obstacle covered trails, the Trek Slash bike series is one of the best all mountain bikes available. The bike utilizes an Active Braking Pivot that keeps the suspension from stiffening and losing control even when you’re squeezing the life out of the brakes. Additionally, the super lightweight frame combined and Trek’s Dual Rate Control Valve suspension keeps you stable no matter how difficult the terrain. Although this bike is pricier than many others, you’ll be purchasing a mountain bike full of the latest and greatest technology from one of the best brands in the world. Considered by many to be the best mountain bike brand in the world, Specialized bring us one of the best All mountain bikes out there, and one that I rode for about 4 years, loving every minute. The Enduro is a highly customizable bike that can be designed to suit your riding style and preferences. Although an Enduro can cost upwards of $10,000, most trail riders will be comfortable with the Evo series. Among the exceptional features offered on the Evo is custom built Avid DB 3 hydraulic disc brakes, SRAM S-1250 double crankset for quick shifting, and an aluminum fork with 170mm of travel. No matter how steep or difficult the terrain, riders on the Evo will be able to tackle it. The award winning Enduro Range can be found here. 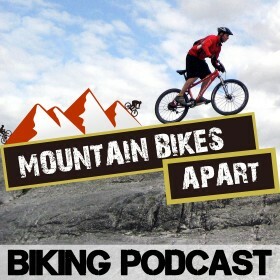 With prices of all-mountain bikes ranging from the low end of a $1000 to more than $10,000 choosing a model in this series may seem intimidating. However, at the end of the day, it is always best to choose a bike that is comfortable to ride and fits your needs. What All Mountain steed do you ride? I’d love to get your feedback. Hi Webmaster do you want unlimited content for your page? I am truly pleased to read this blog posts which includes tons of useful facts, thanks for providing these data. Thanks for sharing. I appreciate about it.